The 2012 March Merkin Permit Tournament was held this past week. 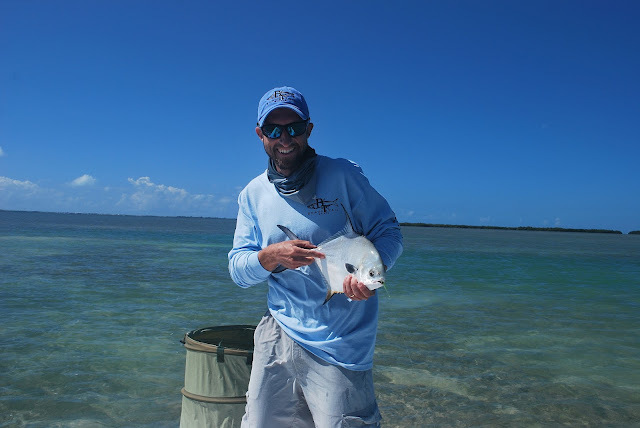 Three days of fly fishing for permit on the flats of Key West. My good friend and fellow flats guide Captain Tony Skinner of Key West, guided me to a permit on fly in the three day event. Thanks again for taking three days out of your schedule to push me around. 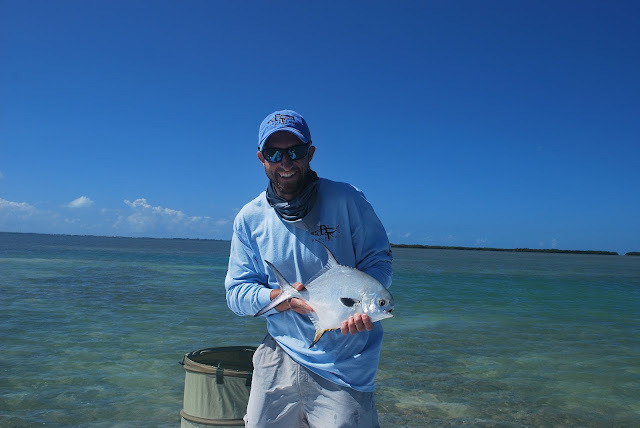 In total 10 permit were taken on fly in this year's March Merkin by seven anglers. Greg Smith guided by Scott Collins won the tournament with four permit. Three permit were caught on day 1. 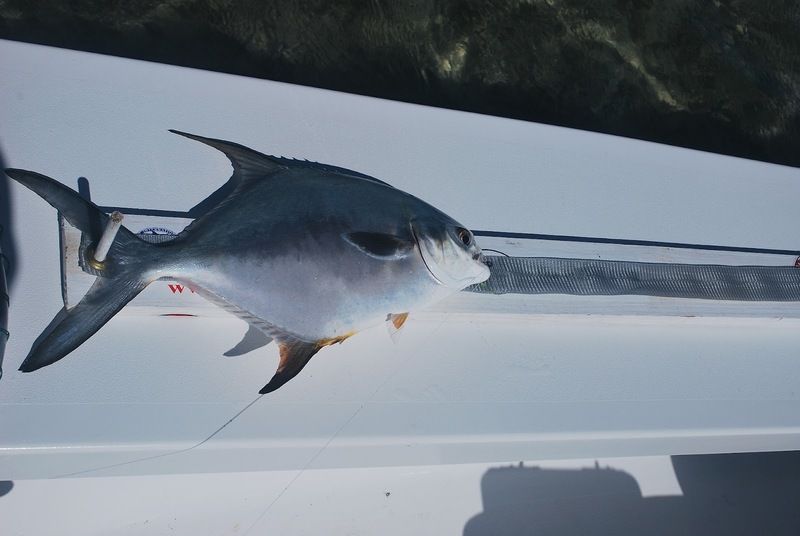 Seven permit were caught on day 2, including three by Greg Smith. Day 2 was the best day of weather and fishing. Zero permit were caught on day 3 as we started the day with rain showers, wind and lots of clouds. Our permit measeured at 14.5 inches and 57 points. Is that a pomapano? No, just a really small permit! It's not the size that matters!! Day 1, lined up on the docks of Key West Harbour Yacht Club.